Kathleen Kennedy | President, Lucasfilm Ltd. 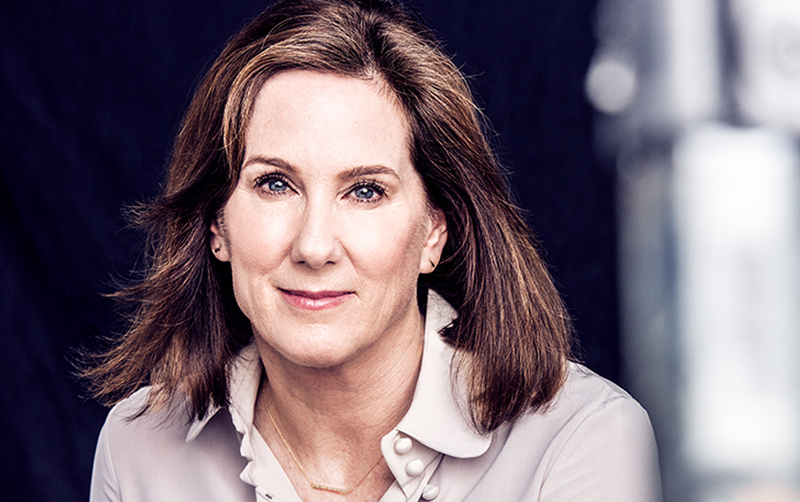 Recipient of the Academy’s prestigious Irving G. Thalberg Memorial Award and an eight-time Academy Award®-nominee, Kathleen Kennedy is one of the most successful and respected producers in the film industry today. As President of Lucasfilm, she oversees the company’s three divisions: Lucasfilm, Industrial Light & Magic and Skywalker Sound. Kennedy was the producer of Star Wars: The Force Awakens (2015), which set a record for the biggest domestic opening of all time, and Rogue One: A Star Wars Story, the number one grossing movie in 2016. She went on to produce Star Wars: The Last Jedi (2017), the highest grossing movie worldwide in 2017, as well as Solo: A Star Wars Story (2018). Kennedy is currently producing Star Wars: The Rise of Skywalker (2019) and is executive producing The Mandalorian (2019). Kennedy has produced or executive produced more than 70 feature films, which have collectively garnered 120 Academy Award nominations and 25 wins. Among her credits: Jurassic Park, E.T. The Extra Terrestrial, The Sixth Sense, the Back to the Future trilogy, Who Framed Roger Rabbit, Gremlins, The Goonies, Poltergeist, Empire of the Sun, Lincoln, War Horse, The Curious Case of Benjamin Button, The Diving Bell and the Butterfly, Schindler’s List, The Color Purple, and The Adventures of Tintin. Kennedy has produced the films of such directors as Steven Spielberg, David Fincher, Martin Scorsese, Clint Eastwood, Robert Zemeckis, JJ Abrams, Julian Schnabel, Marjane Satrapi, M. Night Shyamalan, Frank Oz, Peter Bogdanovich, and Richard Donner. For much of the past 20 years, Kennedy served as a governor and officer of the Academy of Motion Picture Arts and Sciences, and last year was named to the board of the new Academy Museum of Motion Pictures. She also sits on the boards of numerous other educational, arts, and philanthropic organizations, including the American Film Institute, LA Promise Fund, Library of America, and USC’s School of Cinematic Arts. In addition, Kennedy was one of the original organizers of the Hollywood Commission to Eliminate Sexual Harassment and Advance Equality, whose formation she first proposed at the ELLE Magazine Women in Hollywood gala in October 2017. Prior to joining Lucasfilm in 2012, Kennedy headed The Kennedy/Marshall Company, which she founded in 1992 with director/producer Frank Marshall. In 1981 she co-founded the phenomenally successful Amblin Entertainment with Marshall and Steven Spielberg.